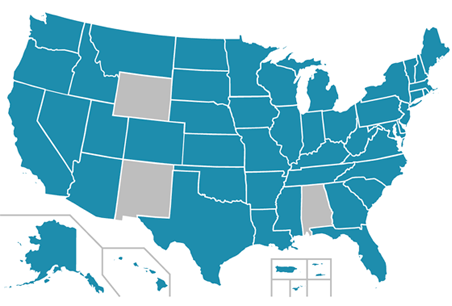 View information about our grant awards or get information about grantee states on our map. The Search for publications and Webinars by keyword, resource type, and release date. 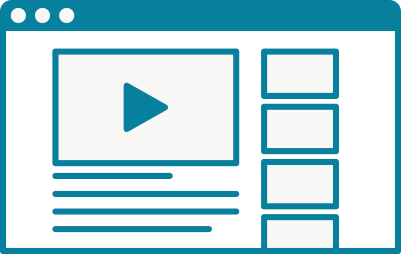 View Best Practices, Guides, Issue Briefs, State Spotlights, and Target Team publications. Webinars for states to demonstrate products they have developed, share best practices, and discuss issues of interest. 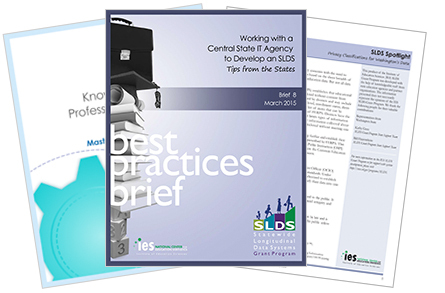 The SLDS State Support Team (SST) is a group of data system experts directing support of states around developing, managing, using, and sustaining SLDSs. Better decisions require better information. This principle lies at the heart of the Statewide Longitudinal Data Systems (SLDS) Grant Program. Through grants and a growing range of services and resources, the program has helped propel the successful design, development, implementation, and expansion of K12 and P-20W (early learning through the workforce) longitudinal data systems. Click here to learn more about our program.